Italy has decided to attack the World Championships in Ponferrada, Spain, instead of trying to out-sprint its rivals. For the rainbow race on September 28, it will take Vincenzo Nibali, Fabio Aru and Edoardo Zardini – recent Tour of Britain stage winner – but leave Filippo Pozzato at home. “How I see the Worlds, there’s not a place for Pozzato, who is a marker and needs to be used in the final,” head coach, Davide Cassani told La Gazzetta dello Sport newspaper. After the Tre Valli Varesine on Thursday – won by Swiss Michael Albasini (Orica) with Sonny Colbrelli (Bardiani) and Filippo Pozzato (Lampre) second and third – Cassani named his 11-man team for the Worlds. All of them will board the aeroplane for Spain, but Cassani will ask two riders to sit aside as reserves. The circuit in Castile and León northwest Spain, repeated 14 times for 254.8 kilometres, features two short climbs and a descent of around five kilometres to the finish line. 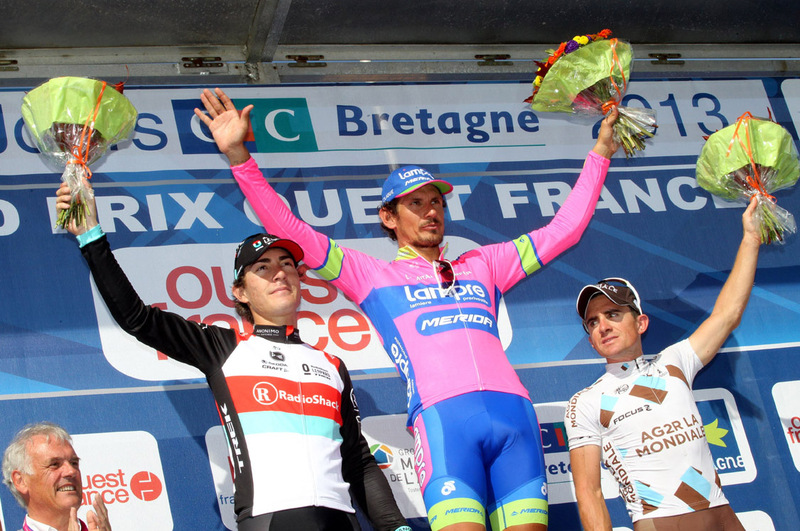 It is said to suit Degenkolb (Giant), Simon Gerrans (Orica) and Peter Sagan (Cannondale) – strong riders with a sprint. Nibali led the Italian team in 2013 and had it not been for a crash leading into the final lap in Florence, he may have had a chance to achieve something higher than fourth place. This year, with the Tour de France win in his pocket, he has less of a chance given the Ponferrada course is considered easier. He could lead the attacks with Giovanni Visconti (Movistar), double Vuelta a España stage winner Fabio Aru (Astana) and Zardini (Bardiani). Cassani’s other seven are Daniele Bennati (Tinkoff), Damiano Caruso (Cannondale), Giampaolo Caruso (Katusha), Sonny Colbrelli (Bardiani), Alessandro De Marchi (Cannondale), Davide Formolo (Cannondale) and Manuel Quinziato (BMC). The non-selection underscores a difficult season for 33-year-old Pozzato, who placed fourth in the 2010 Worlds and won the 2006 Milan-San Remo. He explained that he felt like quitting cycling when left off Lampre’s Tour de France team. Lampre’s manager said in August that the situation remains difficult with one year remaining in Pozzato’s contract.